Brandeis' Department of Chemistry provides a small, collegial environment within a top ranked research university. 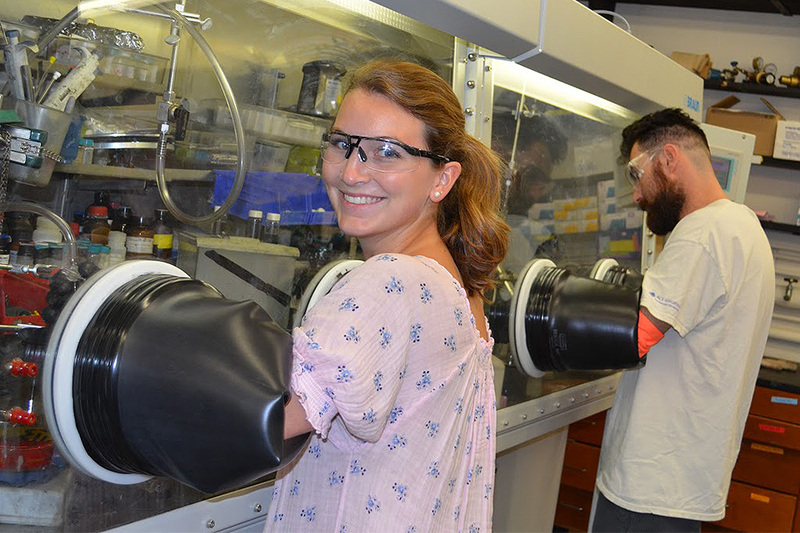 Graduate programs in chemistry offer a portfolio of exciting research programs balanced between established and emerging areas in chemistry. Graduate programs are designed to be flexible so that individual programs of study in organic, physical, biophysical and materials chemistry may be devised to satisfy the particular interests and needs of each student. Students' programs are decided by consultation among the student, the Graduate Studies Committee, and the thesis supervisor. The doctoral program normally includes a basic set of courses in the student's own area of interest, supplemented by advanced courses in chemistry and, when appropriate, biochemistry, biology, computer science, mathematics, and physics. Students in the Ph.D. program are eligible to participate in the interdepartmental Graduate Program in Quantitative Biology, which provides training in new research fields that cross the traditional boundaries between the life sciences and the physical sciences. Brandeis also offers a Master of Arts in Teaching with a secondary education concentration in chemistry. Located in the Boston area, we belong to one of the strongest and most dynamic scientific communities in the world. Students enjoy exposure to exciting scientific development through numerous seminar programs and engage in productive collaborations, both within and outside of Brandeis. The effectiveness of our graduate education is reflected by the outstanding productivity and high quality publications of our graduate students and, most importantly, their continued success in establishing thriving professional careers in both academia and industry. Chemistry research groups are supported by an excellent staff and have ready access to state of the art instrumentation. The Brandeis University NMR facility on campus houses 5 well-equipped spectrometers ranging in magnetic fields from 400 MHz to 800 MHz and a solid state NMR spectrometer is also available within the department. The Brandeis X-ray Structure Determination Facility is equipped with a state-of-the-art Bruker-Nonius Kappa Apex II CCD instrument for the determination of the molecular structure of small molecule crystalline samples and The Laboratory for Structural Enzymology and Neurology houses two high-end protein crystallography systems for determining the structures of macromolecules. Other techniques available for the characterization of new materials include powder X-ray diffraction, thermogravimetric analysis, differential scanning calorimetry, UV-Vis-NIR absorption spectroscopy, infrared spectroscopy, circular dichroism, and chromatography capabilities including GC-MS, LC-MS, and HPLC. Individual faculty members typically direct a group of 4-6 graduate students. This close mentoring between faculty and students is a hallmark of our graduate training.